Grab your board and smash some scores with our guide to the game. 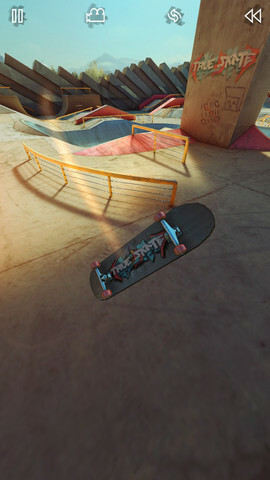 Earlier today, we published our review of the fantastic True Skate. 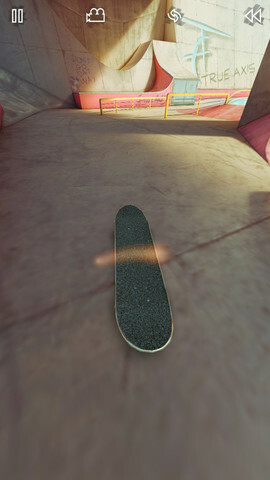 If you're ready to take on the feisty challenge of this skateboard simulation, we've got some handy tips to help you pull off even the trickiest of stunts. How do I perform an ollie? The simplest trick of all still takes a little bit of practice to perfect. With a little speed under your belt, you just need to make a very small swipe from the end of the tail to the bottom of the screen. Once up in the air you are going to need to rebalance things though, so be ready to gently tease the mid-point of the board to get it aligned correctly with the ground. How can I get better at the missions? The missions can be seriously tough to master, particularly at gold level, so take your time in the sandbox mode and stay there until you've at least mastered the basic tricks! How do I complete the Follow the Leader mission? You will lose performance for two things in this mission. First of all, if you stray off the course then you're going to start losing percentage points rapidly so keep up. Next you want to be as on top of the ghost board's shadow as you can be. Practice is the only way to master these events. What makes the difference between a bronze, silver and gold medal for a mission? To achieve a bronze rating you're going to need a 70% accuracy rating, 85% for silver, and 100% for gold. Don't expect the gold to come easily, as the mission tuning is extremely tough. What's the best way to build up speed? Resist the temptation to swipe the screen anywhere near your board. There's plenty of space either side where the touch will be recognised, so keep your fingers right at the edges when building up speed. It's very easy to alter the direction of your board otherwise. There are going to be times when you have no choice but to negotiate steps. The best way to get up them is to get a huge amount of speed behind you, then deliver a gentle flick from the middle of the board towards the rear so you leap in the air. 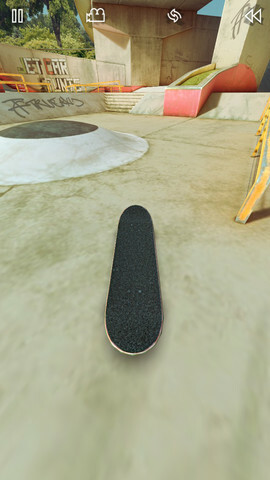 Be ready to balance out the skateboard before it lands, as you will likely add some directional steer in the process. Why won't my skateboard jump when I flick it? You must make sure that your first contact with the screen is on the tip or the tail of the board. From there you can swipe towards any part of the screen. The rotation of the board is directly related to both where you start touching it, and the direction of the swipe. How can I change the view in the game? It can be much easier to get a feel for what's coming up if you press the little movie icon at the top of the screen. If you're struggling to keep on top of what's ahead, zoom it all the way out. 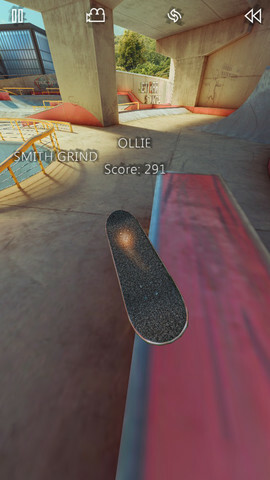 The flip-side (no pun intended) is that you'll find it harder to manipulate the skateboard. How can I pull off the perfect rail-slide? Easy! Just get up enough speed for a decent jump, then perform an ollie. Once you're up in the air, just make sure you balance the board out asap so that you land on the rail as perfectly horizontal as you can. From here you'll ride the length of the rail, but be ready to readjust your positioning when you land. How do I grind on the edges of the basin? This is pretty easy to do once you have the hang of it. The trick is get your skateboard dead-center on the lip, which should be directly between the left and right-hand wheels. Once you're on it, you can ride it for as long as you want before steering off, or just perform an ollie.